I would like to discuss the design of the default lock screen. First, let me clarify. I installed Fedora 28 GNOME and then installed Xfce on top. Thus, my Xfce experience may not be the default one. However, I do want to point out that my lock screen (e.g. seen when resuming from suspend) looks very ancient and does not do justice to this great desktop environment. Is this just my individual experience? Is this Fedora specific? Do other Xfce distributions provide a different lock screen experience? Thank you. Your links are a bit dated. Is it still valid to say that all Xfce distros use xscreensaver and not just Fedora Xfce (still need a confirmation on this though). 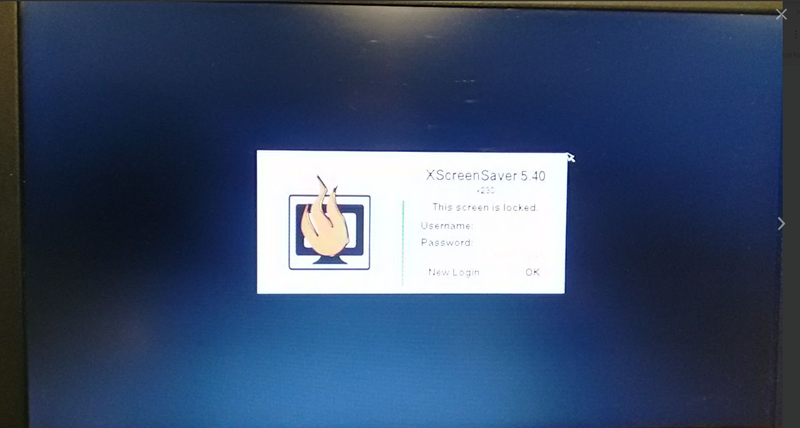 I think that this is up to the individual distro maintainer, that xscreensaver is not an Xfce component, it's just a choice that the distro maintainer makes. I could be wrong, I suppose. Happens a lot . May I ask, which Xfce distro are you using and how does your lock screen look like? I've noticed that many distros aren't including a screensaver at all anymore. If you are using LightDM to login, which you probably aren't as you started with Gnome, you can remove xscreensaver and install light-locker. That gives you the function of screen locking without the ugly animations. Correct. I am using GDM (I think). Let me look into LightDM and light-locker though. Thanks! That means that your basic distro has to provide the underlying locking facility (MDM, GDM, LightDM etc.) Fwiw, Linux Mint 19 bundles LightDM+Lightlocker, a very pleasing, lightweight and easy to configure lock- & login feature (imho). That's insightful, thanks! Then I am wondering, since I am coming from Fedora GNOME and GDM, why is my instance not using gnome-screensaver but xscreensaver? Wouldn't that be the better option in this case? Shall I suggest this to Fedora Xfce? A lot of people consider xscreensaver to be the gold standard in "screensavers." Perhaps the maintainer of your distro is one of them. Others might not care for xscreensaver overmuch, but recognize that at its developer doesn't act like he dislikes the users of his application, lol. That can't hurt, imho, but may not get noticed or acted-upon ... The quickest fix would be to (1) ensure that the gnome option is installed, then (2) copy the command script from /usr/bin/xflock4 to your home folder's ~/bin folder, (3) edit it to your liking (i.e. placing the gnome option in 1st place, or stripping it down to just executing "gnome-screensaver-command --lock", and (4) making it executable. I may apply your hack, thanks m4a!